Few things are worse than waiting an hour to get through TSA for your red-eye, only to realize your flight has been delayed. Google is now using AI to give you a heads-up. 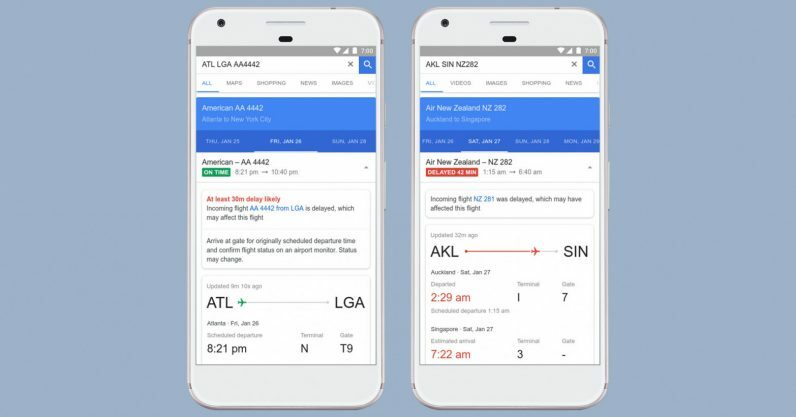 Google Flights is rolling out more information on flight delays, including more information on why your departure was actually held back, and even predicting if a delay may happen before you hear anything from your airline. You just need to search your flight number or route and airline to get the information. Google says it’s using historic flight data and machine learning to predict delays, and it will only alert you if its more than 80 percent confident in its guess. You won’t want to risk that extra 20 percent, but it could at least give you some peace of mind if you were already running late. You can use the extra time to download a movie while you wait. In related news, Google flights will also now be more transparent about what benefits are included with your particular ticket. If you book a basic economy ticket, you’ll know that it doesn’t include options like overhead storage or the ability to pick your seat. The new features are rolling out today.